Jahshaka is a complete solution for the creation, distribution and monetization of virtual assets, scenes and worlds. It gives you tools you need including powerful project management, immersive 3d content creation, online and offline playback as well as the ability to publish online or host your own creations. 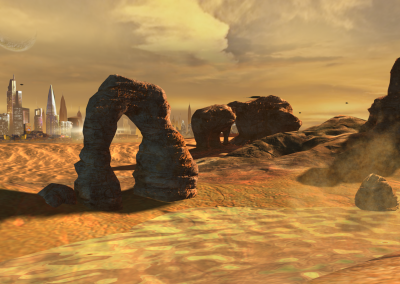 Create virtual scenes and worlds with Jahshaka Studio. Playback and distribute your creations with Jahshaka Player. Jahshaka gives you the tools you need to create virtual scenes and worlds, distribute them online and offline, and includes a fully interactive multi user engine for collaborative experinces. Jahshaka gives you the tools to distribute and share your virtual creations. 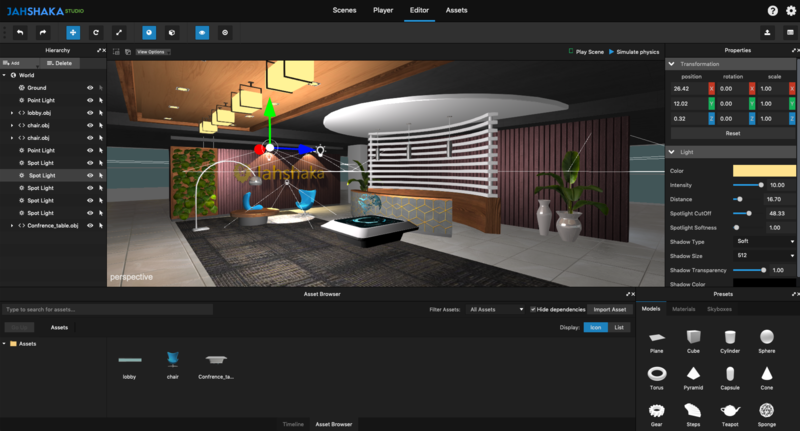 Our standalone player lets people explore your creations on everything from laptops and desktops to mobile devices, and our world server lets you host your own collaborative VR environment. Jahshaka gives freedom to create content on your system of your choice, and the ability to easily publish both online and offline.